A who’s who of artists from multiple genres have come together to record some of Elton John’s biggest hits for two new tribute albums, Revamp and Restoration. 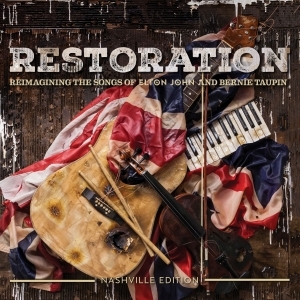 Restoration features some of countries biggest stars with interpretations by Dierks Bentley, Rosanne Cash and Emmylou Harris, Vince Gill and Don Henley, Miranda Lambert, Little Big Town, Maren Morris, Kacey Musgraves, Willie Nelson, Brothers Osborne, Chris Stapleton, Rhonda Vincent and Dolly Parton and Lee Ann Womack. Revamp and Restoration will be released on April 6.